From the 8th to the 20th of December, the Blue Carbon Lab was honoured by the visit of Dr Kasper Brodersen – a microsensor expert from the University of Copenhagen. 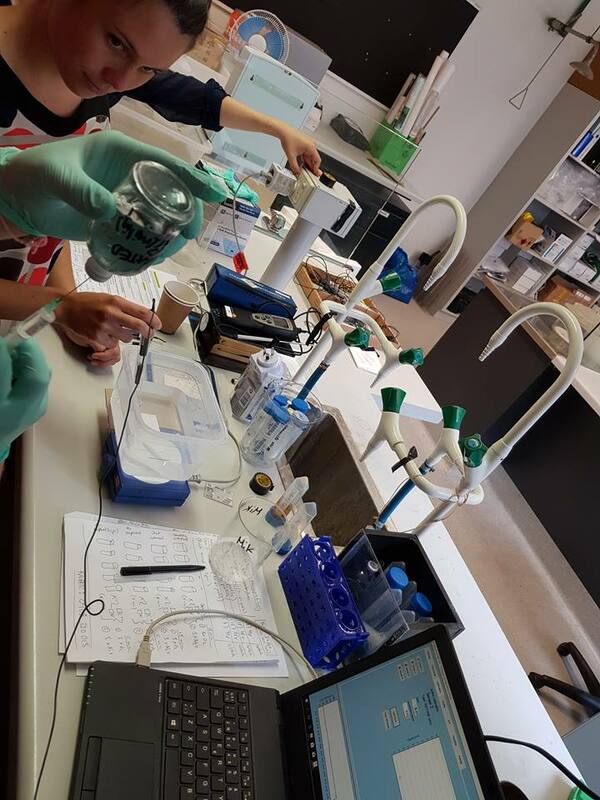 Dr Brodersen trained staff from the Blue Carbon lab in the use of microsensors and collaborated in several research projects using microprofiling techniques on sediments from freshwater and coastal wetlands. Dr. Stacey Trevathan-Tackett, who has been conducting a plant litter decay experiment, was able to micro-profile levels of O2 and H2S at 100 um scale during the decomposition process. Data from this mesocosm experiment will be used to better understand the natural decomposition process occurring in seagrass beds. 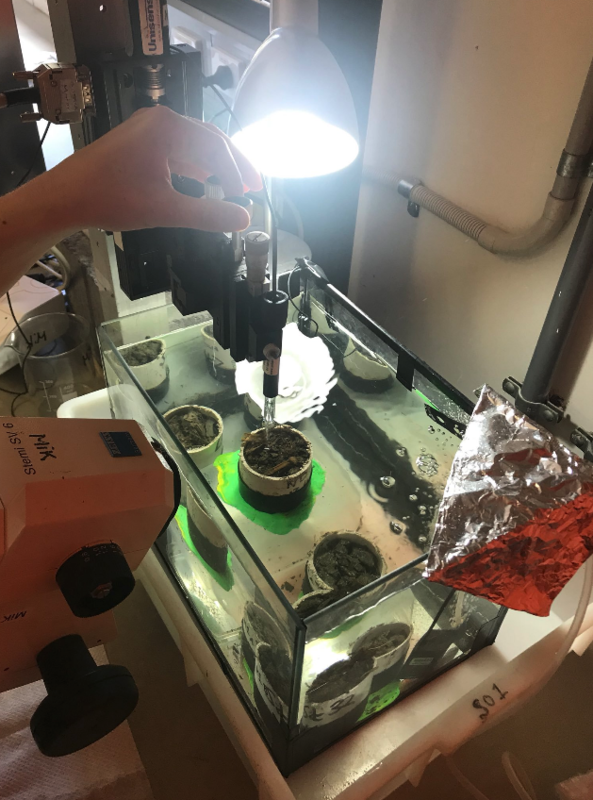 Additionally, PhD students Katy Limpert and Giuditta Bonetti took advantage of this novel technique to examine how nutrient enrichment and water level affects greenhouse gas (GHG) fluxes in freshwater wetlands. 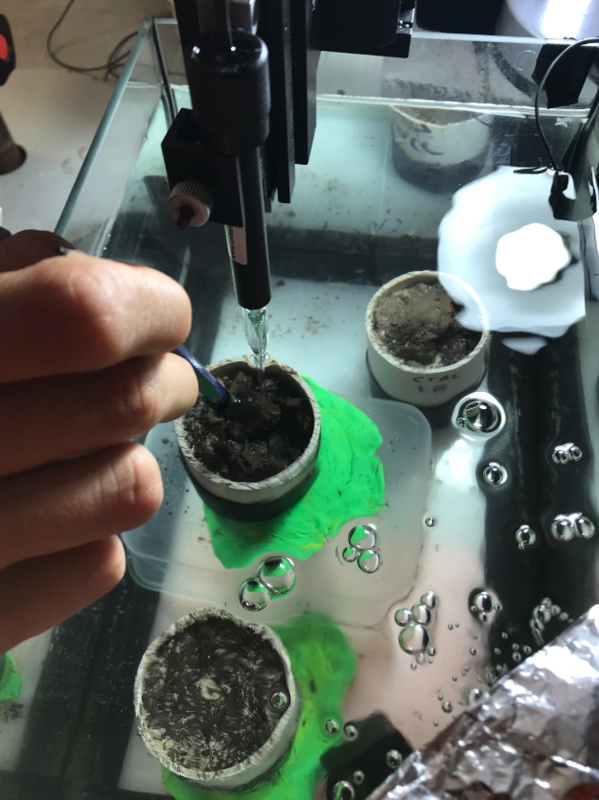 During their experiment they were able to obtain detailed measurements of CO2, CH4, O2 and N2O by combining information from the microsensor and an Ultraportable Greenhouse Gas Analyser (UGGA). We can’t wait to see the results from this fruitful collaboration. Massive thanks to Dr Brodersen for all his patience and help!